It’s now two full years since the Google Nexus 6P was unveiled. Having only been around for a year by the time the search giant unveiled the original Pixels, many diehard Nexus fans didn’t see the reason to upgrade and thus they still rock the 6P as at the time of this writing. However, it’s no longer about the Google Pixel XL because the phone’s successor, the Pixel 2 XL, is already available for purchase. In fact, this could be the best time to make the shift to the new phone and if you have actually considering this move, well, you aren’t alone. There are those who still believe their Google Nexus 6P units are still capable enough, but others are already making plans to jump to the new Google Pixel 2 XL. Of course, different people have different reasons for making the switch, but regardless of the reason (s), it’s obvious that the 6P’s time is almost over – or it is already. So, should you really make the switch to the new Pixel 2 XL? Let’s take a closer look at how the two compare. The Google Nexus 6P has been hailed by many as the best in the Nexus program not just because of performance, but also the build. If you are a bit old school, you’ll walk away with the 6P, but this doesn’t mean the Pixel 2 XL isn’t equally gorgeous. In fact, many will tell you the latter has got the looks, but that’s not all. 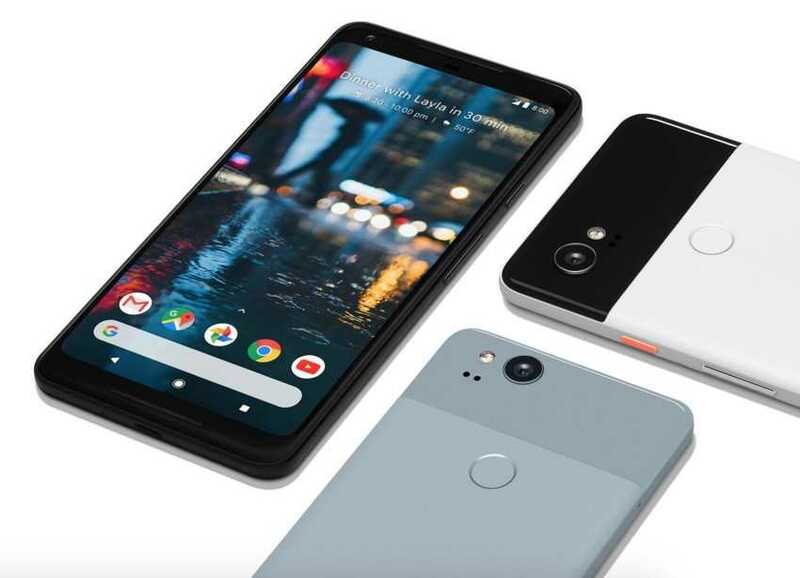 Unlike the OG Pixel, the Google Pixel 2 XL borrows the dual stereo speakers on the front of the Nexus 6P and further refines the design of last year’s models in a bid to catch up with the industry. The 2017 handset also comes with a bigger 6-inch pOLED display screen with an 18:9 aspect ratio and QHD+ resolution compared to the 5.7-inch QHD AMOLED unit with 16:9 aspect ratio on the 6P. The latter has the older Gorilla Glass 4 while the Pixel 2 XL ships with the newer Glass 5. You’ve probably heard a few things about the display screen of the Google Pixel 2 XL and you are right to question whether it’s the right time to make the switch. Well, Google says it’s looking into the issues and others will be fixed in future software updates. Something else worth noting is that unlike the Google Nexus 6P, the Pixel 2 XL doesn’t come with a 3.5mm audio jack, but the USB-C port is there. The main camera specs of the two phones aren’t so different, but it’s worth noting that the Google Pixel 2 XL is the first to come with optical image stabilization and a much wider aperture of f/1.8. These will ensure you get much better photo and video quality compared to the Nexus 6P. Since the Pixel 2 XL has superior processing specs, you’ll definitely notice an improvement in camera speed and general performance. Speaking of processing specs, here is a full table of the two phone’s specs side by side. Many carriers and phone manufacturers have given us the notion that we should upgrade our phones after every two years, even if the device in question is still in the best of conditions. These companies will go as far as luring you to trade in your old phone, albeit in working condition, for a newer model – and many of us fall for this trick. With this in mind, it’s indeed time to ditch your two-year-old Google Nexus 6P in favor of the new Pixel 2 XL. If this is not reason enough, one that will make you upgrade is the current battery life of your 6P. We all know what happens to a phone’s battery life with continued years of use. If your Nexus 6P’s battery life hasn’t deteriorated, you are almost there. Typically, lithium-ion batteries last about two to three years and since your 6P is now more than two years old, it’s only a matter of time before you start noticing the poor battery life. With new software upgrades comes new features and performance improvements, but there’s also a bad side. The Google Nexus 6P has now received two major OS upgrades and there’s no doubt these have had their toll on the battery life of the phone, although some people report otherwise. The slightly bigger battery unit on the Pixel 2 XL promises a lot and it gets even better thanks to the optimizations brought in by the Snapdragon 835 over the 810 on the 6P. Although both phones support fast charging, the 18W power brick on the Pixel 2 XL ensures you fill up the XL faster than the 6P. Google is also offering up to $165 if you exchange your old Nexus 6P for a new Pixel 2 XL, but it’s the improvements in the camera department that will blow your mind. Although they share the same megapixel count, the camera on the Pixel 2 XL is new and leverages Google’s enhanced HDR+ technology for faster image processing and enhanced performance in low light conditions. You will also enjoy features such as Portrait Mode and Motion Photo if you make the switch. Given that the core reason for buying a Google phone is to keep up with the latest software updates as they are rolled out, you’ll want to get the Pixel 2 XL in order to stay up to date. The latest Android Oreo will be the last major OS upgrade the Google Nexus 6P receives, but it’s just the beginning for the Pixel 2 XL, which should receive upgrades for the next two versions of Android. Since the next version of Android will be out next year and the Nexus 6P will still be receiving security updates up to November 2018, you can still keep your 6P and feel safe, just like the rest of Pixel users. On the contrary, there might never be a better time to make the shift to the Pixel 2 XL than now, especially if your phone’s battery and performance have deteriorated.